For almost two years now, I’ve been working for Loyola University Chicago’s PROLAW program based here in Rome. PROLAW is a master’s in law program in Rule of Law for Development, designed to prepare its graduates to be effective rule of law advisers in their countries. Each year, the program admits 20 or so students from all over the world, who I am lucky enough to work with from September until April. These students – from Armenia, Kosovo, Ethiopia, Liberia, Egypt, the Ukraine, Russia, and Mexico, to name just a few – make my job incredibly fun and interesting. I now speak a little Nepali, understand the importance of a carne asada in northern Mexico, and have learned about the Islamic festival of Eid. I can’t even begin to describe how important they have become to me, and I know that without them my experience in Rome wouldn’t be nearly as special. Unsurprisingly, I’ve also been curious to learn about the many different cuisines represented in our group. 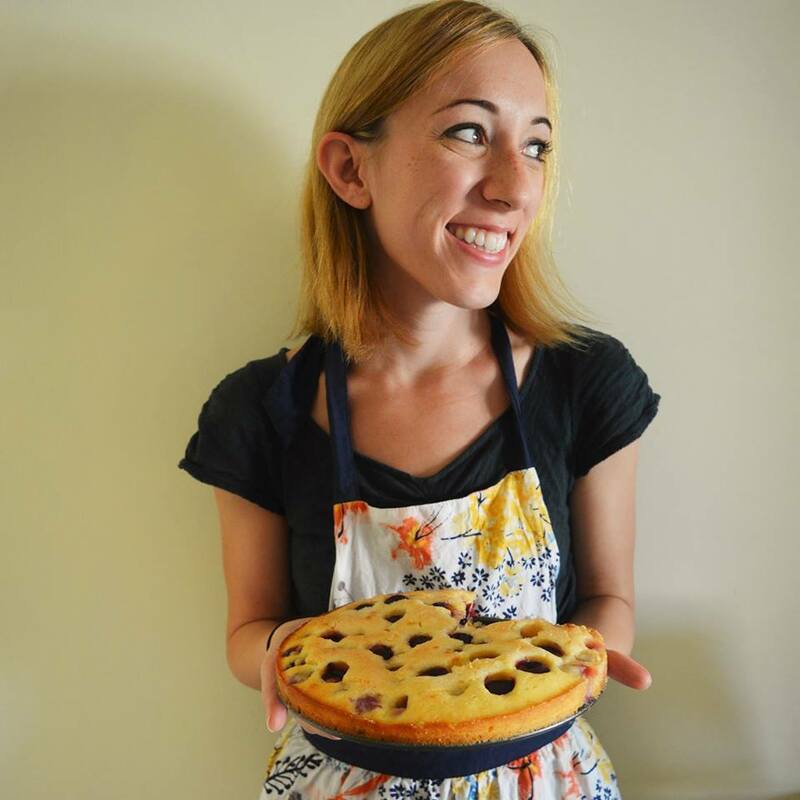 It has been fascinating to learn about what my friends typically eat in their own countries, what they think of Italian food, and what dishes they miss most. Their stories and recipes have inspired me to explore new cuisines and try out new dishes from all over the world, which I will be sharing with you in future Guest Posts. 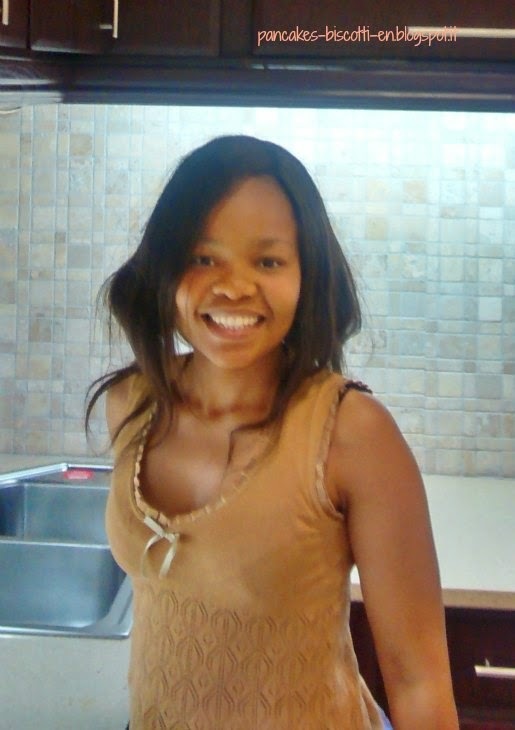 The first of these posts comes from the lovely Otsetswe (or Ot, as we call her) from Botswana. There is an expression in Italian that I have yet to find a good translation for in English: in gamba. Wordreference.com translates it as “to be very capable,” but this doesn’t exactly convey the exact sense of the expression. The expressions “accomplished” “with it” or “cool” come close, but aren’t quite the right translations either. Though I cannot find a good linguistic equivalent of in gamba, I can find a good embodiment of the word: Ot, who was a member of the 2013-2014 PROLAW class, is hands down one of the most in gamba people I know. At the age of 29, she is already a lawyer working within the Legislative Drafting Division of the Attorney General's Chambers in Botswana, is a master’s candidate for her LL.M. degree in rule of law for development, and is married with a three year old son. She is also one of the funniest, easy going, most considerate, and intelligent people I have ever met. Ot and I hit it off right from the first day of orientation back in September, and she later became a fixture in the Italian 101 class I teach for PROLAW (always arriving early and picking a seat in the front row,) my usual dining companion at the University mensa (cafeteria) and my go to person for advice or suggestions on recipes and cooking. I know that her PROLAW classmates undoubtedly feel the same way as I do; she was highly respected and admired among her peers, so much so that she was even selected as class speaker for the end of the year ceremony. She is, in short, just awesome. Thanks to email, whatsapp, and facebook, Ot and I are able to stay in touch and still exchange recipes easily even though she is now back in Botswana. 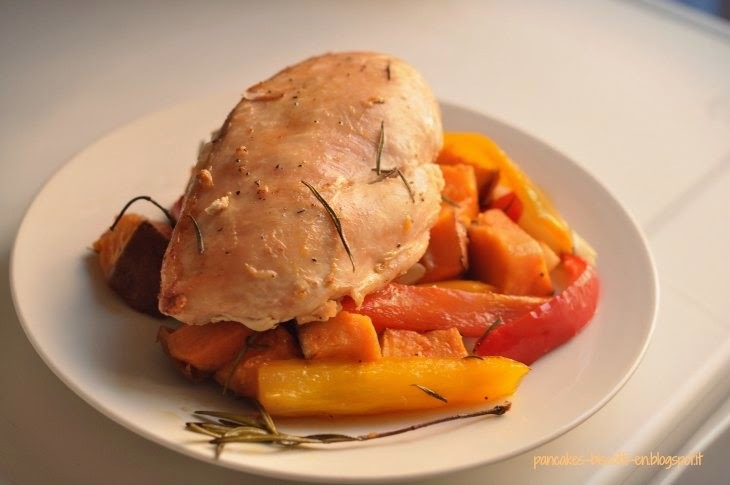 This recipe for chicken with bell peppers, sweet potatoes, and onions – sent to me in response to a recipe for carrot cake I had shared – is quick to throw together, healthy, delicious, and not to mention pretty to look at. It is also a one pot meal, meaning that there is no need to make any side dishes or do any extra cooking if you don’t want to – the vegetables, potatoes, and chicken are all cooked together. If you can’t find sweet potatoes where you are (I know they are hard to come by in some countries) you could also halved baby potatoes or Yukon gold potatoes; the dish will be a little less colorful, but equally good. I started cooking when I was around 6 years old. I had to learn as a condition for getting a puppy. My parents said no one would feed it on my behalf and they were not going to buy ready made pet food, so I had to learn to cook for the puppy! 2. What is your favorite thing to cook? What do you usually cook for your family? My favorite dish to prepare is samp bobotie, which Is stew made with chicken, samp (a type of corn) and vegetables. It’s very tasty and simple to make – another one pot dish! My family however likes dumplings cooked in stew. I let the dumplings rise before I cook them in the stew to make sure they are extra fluffy. 3. What is cuisine in Botswana like? Tswana cuisine is very diverse. Most people here eat typical western food, and traditional Tswana cuisine at ceremonies. Typical dishes are dried bean leaves, pounded meat, black eye bean soup, and bogobe jwa lerotse (sorghum porridge cooked with melon and milk). To drink, we have traditional Tswana beer brewed using sorghum. 4. What is the best thing you tried while living in Rome? The best dish I tried in Rome was a vegetable lasagna prepared by Francesco, the flatmate of two of my friends from PROLAW. 5. What are some of the dishes you learned while living in Rome? 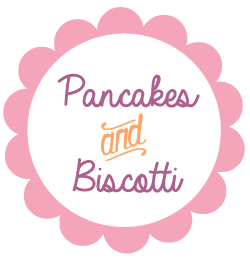 Bruschetta with tomatoes, gnocchi con quattro formaggi, penne with calamari and zucchini flowers, polpettone with spinach, fish with escarole olives and capers. 6. Lastly, what is your ideal meal? Drink, main course, dessert? My ideal meal is apple juice to drink, samp bobotie for the main course, and carrot cake for dessert. Preheat the oven to 350 degrees Fahrenheit. In a large bowl, toss together the bell peppers, sweet potatoes, onion, bay leaves, and garlic with the five tablespoons of olive oil; season the mixture with salt and pepper and pour into a large roasting pan. Next, coat the chicken pieces in a little olive oil and sprinkle with salt and pepper. Brown the chicken in a skillet over medium heat, turning it until it is browned but not cooked throughout (I find that this gives the chicken some extra flavor – however if you want to skip this step and save time, you can!) Place the chicken over the vegetables, and put the pan in to the oven. 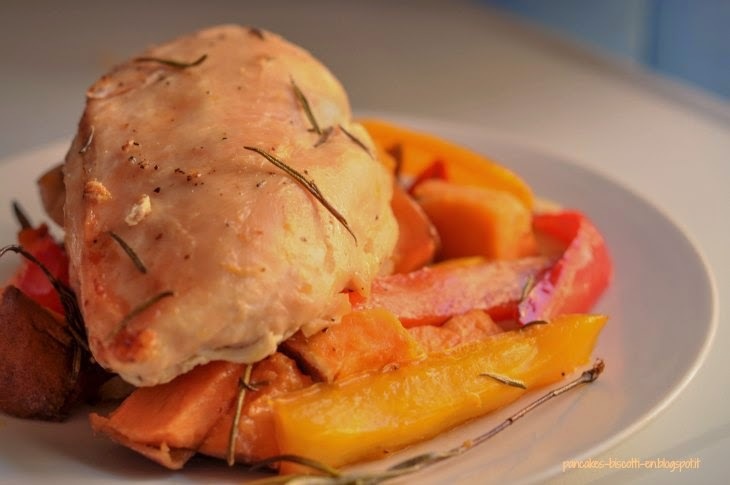 Bake the chicken for 1 hour and 30 minutes, or until the potatoes can be pierced easily with a fork and the chicken is cooked through. Serves 4. Enjoy! *Note that you can use whatever type of chicken here you like if you don’t want to buy a whole chicken (for example, you can buy just individual chicken breasts if you want.) You can use either chicken with the skin on or skinless chicken. Keeping the chicken skin on makes the dish more flavorful, but skinless chicken is of course healthier, so it is your call!